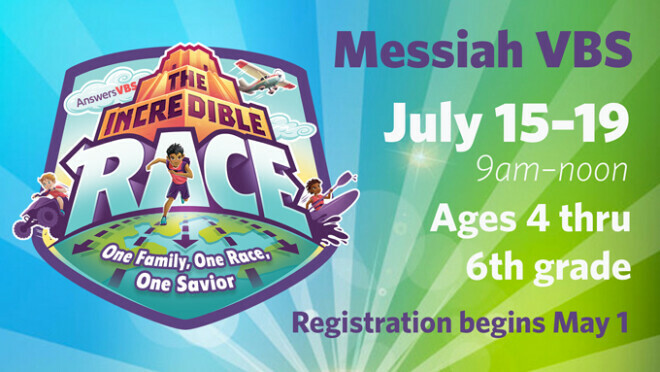 Register for one of the best week's at Messiah: VBS! During the month of May, the cost is $40 (early-bird rate). Register campers or to volunteer. Check back on May 1 for Registration Links.